I know that I’m a movie blogger by name, but if you’ll allow me a brief aside, I’d like to address a different field altogether. 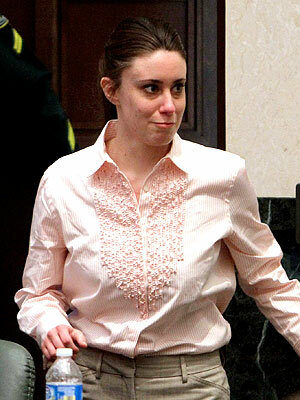 I, like many Americans this summer, have been following the developments in the trial of Casey Anthony. Today, to the shock (and disgust) of many captivated American television watchers, she was acquitted of murdering her two-year-old daughter, Caylee. I will inevitably catch heat for this, but I do not sit in front of my computer typing this post in dismay. Just a day after 311 million Americans celebrated the preservation of the inalienable rights of life, liberty, and the pursuit of happiness that so many men have died for, the trial by jury guaranteed to all citizens in the Bill of Rights produced a verdict of not guilty. Regardless how much Nancy Grace or Bill O’Reilly told us she is guilty, or will continue to tell us she is guilty, we have to trust the American legal system here. We have to trust that these jurors listened to the evidence and made the right call. But this post isn’t about the woman in the courtroom, it’s about the people that watched her courtesy of the courtroom cameras. I learned a lot about how Americans view concepts of justice, vengeance, and entertainment, three ingredients that can make be quite poisonous when mixed. Quite frankly, what I’ve seen over the past month should have the Founding Fathers rolling over in their graves. This cannot be the America they wanted to create. Just last Christmas, “True Grit” was an unprecedented success, grossing $171 million, scoring nearly unanimous critical support, and raking in 10 Academy Award nominations. The Coens’ film grapples with the tricky question of revenge; in the movie, Hailee Steinfeld’s spunky 14-year-old Mattie Ross embarks on a journey to kill Tom Chaney, the man who murdered her father in cold blood. She is seen as the hero of the film, and when she ultimately succeeds, the audience cheers. The character representing justice, Matt Damon’s LeBoeuf, is a clown that is mostly mocked by the audience. While the Coen Brothers likely expected this to play mostly for their usual niche audience, the excellent film wound up entering the mainstream and playing well into February and March in most theaters. Not to insult the average moviegoer, but I don’t think that many of them understood that “True Grit” is supposed to be a meditation on the merit of retribution, not a vindication of it. The movie is just ENTERTAINMENT, and the Coens deliver a cinematic vengeance that excites inside a theater. But outside that theater, we aren’t meant to feel inspired to deliver payback in such a dramatic fashion. Which brings me to the matter in question here, the Casey Anthony trial. How does an ordinary 25-year-old mother from Orlando, Florida become “The Social Media Trial of the Century,” according to Time? How does she grace the cover of People alongside Brad Pitt, Angelina Jolie, and Jennifer Aniston? Simply put, people want VENGEANCE. They want to see the death of Caylee Anthony avenged, and they want blood to pay for it. How do I feel so confident in making this statement? Because most people didn’t need a trial or the deliberations of a jury to reach their own verdict; they just went ahead and pronounced her guilty. Bill O’Reilly even said, “She is as guilty as they come.” Although it is not specifically codified in the Constitution, it is considered a part of common law and an American virtue that someone is presumed innocent until proven guilty. Everyone has the right to due process of law. Everyone has the right to a trial by jury. It is not up to people watching the trial on Fox News from their couch, nor is it up to those catching glimpse on CNN from the water-cooler. But how can Americans have strayed so far from the ideals of our Founding Fathers? In my opinion, it’s the means of information that induce such expectations for violent ends. It’s a tired argument, I know. Let’s blame the media and putting cameras in courtrooms for everything! But in this case, the drive for ratings and good television has muddled the distinction between justice and vengeance by adding entertainment to the mix. We have become convinced that the American legal system is only doing its job when it’s convicting people because there is too much crime in this country for punishment to be spared. All of those title cards for coverage of the Casey Anthony trial, no matter what channel you watched, read “JUSTICE FOR CAYLEE.” But it was never about justice for them, it was about retribution for her. They found a woman who represented all sorts of bad parenting and immoral behavior, two things they could prove without a trial. They made the trial about the condemnation of a woman more for her lack of scruples and less for her action since the case was based largely on circumstantial evidence. They wasted no time calling her a representative of all evil in society. Here is a perfect study of opposites: Roxie is a victim of culture’s evils, while Casey Anthony was made to represent them. The media tried to make her trial a proxy trial for her behavior. But it’s not; it’s about her actions, and the jury could not find in evidence that her actions included murdering her daughter. It makes for good television to focus on her unscrupulous behavior in the wake of her daughter’s disappearance, but it does not make for a trial in the American judicial system. Perhaps Casey Anthony is guilty. That’s what many Americans still think in spite of this verdict. But how many of us have come to this decision based on piecing together the evidence presented in court? I’m going to guess very few of us have. However, whatever notions I may have had about Casey Anthony thanks to Fox News or CNN have been wiped clean today with the jury’s verdict. I’m not sure if the deliberations played out like “12 Angry Men” or if they took on another shape or form entirely. Yet I am going to trust that however they came to their verdict, it is the right one. And if you believe in the justice system that our Founding Fathers envisioned is morally right, then you must scorn notions of retribution and entertainment and believe in their verdict too. NOTE: While this post is a direct response to the Central Florida Film Critic‘s post “I should have gotten the training,” I mean no ill will towards the author. I only wish to express my own opinions on the matter and defend my own writings. My post on “Citizen Kane” wasn’t so much a review or an intellectual discussion so much as it was a reflection piece. What I wanted to look at was how a movie 70 years old can be relevant to a movie about Facebook, and when I sat down to write, that’s what I was trying to convey. I don’t have the education to talk about Orson Welles’ masterpiece in any great depth; besides, there are plenty of scholars willing to do that for me. “Citizen Kane” means something different to an 18-year-old movie buff than it does to a film student or a filmmaker, and I found an interesting way to discuss what it meant to me through a comparison with “The Social Network.” I’m not incredibly well-suited to write a piece on the movie many critics deem the greatest ever made, but I think my perspective mirrors most of my readers. I had no intentions to give “Citizen Kane” a full critical overview because I’m simply not qualified. But I believe that taking into account my purpose and my audience, my post did what it was supposed to do. I’m not asking you to trust me as a film scholar; I’m asking you to trust me as a teenager with an appreciation for film. I’m willing to hear criticism of my work, but my overall message to James at Central Florida Film Critic is that you can’t judge all writing through one lens. You have to take into account different perspectives, and I think your scolding of my post simply didn’t do that. If the way I view movies doesn’t align with the way you want to view them, I can only recommend you finding another site to read. But I certainly hope that isn’t the case. There’s no right or wrong way to be a movie reviewer; start off knowing that. But you can never stop getting better. In over a year of blogging, my movie reviews have changed quite a bit because I have been open to change. Since you seem to be so eager to accept it as well, let me offer you five tips that have helped me find success in writing reviews. Read lots of reviews. There is so much to learn, and you are never done learning. Read as many reviews as you can tolerate because no two people write them the same. I’ve picked up so much from reading other people’s reviews, everything from words to styles. Be they professional or amateur, every writer enthusiastic enough to pen a review has something to offer you. Other writers can help you discover your voice, which is a very important thing to have when writing reviews. If you are a funny person, don’t hesitate to let it show. Don’t be afraid to crack a joke or two. If you talk like a Cambridge professor, don’t be afraid to spin an eloquent phrase. Write what you would want to read. Just because millions of people read The New York Times doesn’t mean that you have to write like that to get readers. Don’t write in a style that would be off-putting to you. If you woudn’t want to read what you write, how can you expect anyone else to read it? Write first to please yourself, and then worry about how other people will see it. If they are coming to read it on your blog, they want your unique spin and a movie reviewer they can have somewhat of a relationship with. There are plenty of Roger Eberts out there; there’s only one you. Know why you write and who you are writing for. It’s important to know your purpose and your audience when you write because it will affect your tone, diction, syntax, and all those other things your English teachers loved to talk about. If you are writing to tell people that they need to see a movie that is unknown, you need to use different rhetoric than what you would use to tell people they should see the latest James Cameron movie. You can inform, persuade, and urge with a review, but know which you want to do when you write it. And be sure to write in a way that can appeal to the people that will read you. Intellectual ramblings will only get you so far if you write to an audience that just wants to know what to put on their Netflix queue. Perhaps a distinctive feature will help. Aimless reviewing makes for a lack of clarity for readers at times. Give them ways to get what they want out of your reviewing, particularly through categorizing reviews and memorable columns. Perhaps write something focusing on classics or undiscovered gems or overrated movies. The possibilities are endless, but find a way to be distinct from the average movie reviewer. Make your review memorable. Until you get paid to review movies, you have no credibility other than what you give yourself. So what are you going to do to make people value your opinion as much as Peter Travers’ opinion? Be original and creative; don’t merely rehash what every other critic is saying. There are infinitely many ways to express a common sentiment, find your own! You have to give your reader a reason to remember your review, be it through the way your phrase your review or the way you rate it.